If you were here last week, you'll know that Beth of Oak + Oats and I are bringing back our Holders Not Folders challenges! So many of you participated in our Summer 2014 series, and we had a blast cultivating a creative Instagram community with you all. During this next series, we are taking six weeks to teach you something new (or remind you of something you already know) to use in your phone photography. Each week we will announce the new challenge, share a quick tutorial and/or tips, and encourage you to practice that skill in your Instagrams! Make sure you hashtag #holdersnotfolders and interact with the others participating! Today we are talking about filters. Those beautifully created presets just waiting to be placed with your photos. You've probably experienced those times when your original photos don't always portray the quality and style you want them to. So you head to your favorite photo editing software to up the exposure, contrast, highlights, shadows, tones, etc. until you get your photo just right. I'd love to share three things I like to use/keep in mind when editing my photos for Instagram - apps, consistency/style, less is more. One of the things I've struggled with in the past is finding consistency in my Instagram style. Do I want my photos bright and bold, or more muted, or black and white, etc? Personally, I think that your editing style is something important to consider when looking at your Instagram feed. Your style helps to set you and your brand apart from the rest of the crowd. I edit every single one of my photos the same way, using the same filter, in order to create a kind of consistent feel for all of the photos in my feed. This helps to set a "mood" for your Instagram. I've found that I prefer my photos to be brighter and bolder. This means I tend to bump up the exposure, contrast, and saturation, and throw on my favorite filter at a low intensity (usually HB 1 or 2 in VSCO). 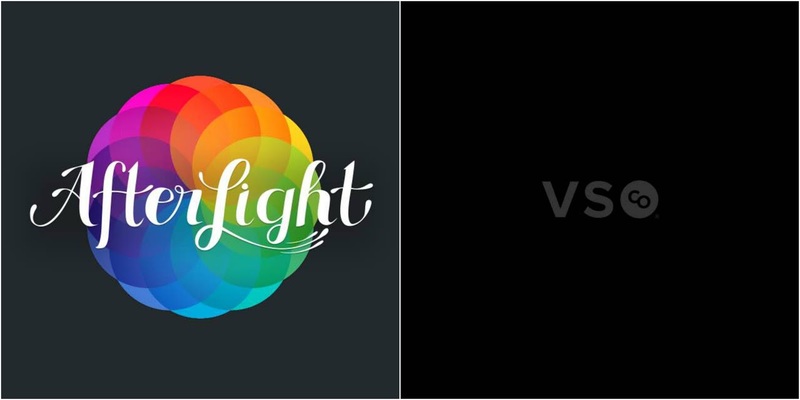 I have included some before and afters of Instagrams which best represent the bright and bold look that I am going for in my feed. HOMEWORK: Now it's your turn! While you're instagramming this week, play around with filters and your editing style. Figure out what you like and what you don't like. Try to find an editing style that gives consistency to your Instagram photos. Download some different apps and figure out which is your favorite to use! 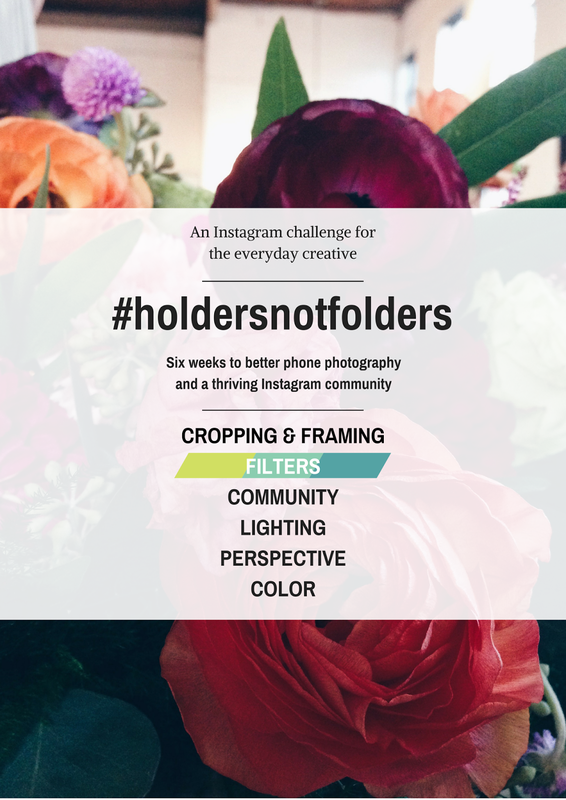 Share with us any photos you are proud of by using the hashtag #holdersnotfolders, and please leave some love on other grams you see in the feed! Be sure to follow @megmcilvaine and @oakandoats on Instagram. To see the rest of this challenge (along with our previous series) click here. afterlight is my favorite too - which you know haha - but i just recently tried to upload a dang photo on VSCO and since the update, for the life of me, i could not figure out HOW to freaking upload a picture to my library = soooo i went to afterlight again haha. i LOVE how you show the before and after - so much fun! GREAT advice! I struggle a bit with consistency too. And that ocean pic?!?! I cannot get over how pretty it is!!!!!!!!!!!!! Oh no! I have been adding them on mine so I'll share with you how I do it. I am not sure if this will work, but try this! 3. click on that and find the photo you want to add! Let me know if that worked - that is - if you want to use VSCO again! apparently my brain is still functioning like it is monday morning! I can't wait to go back to the beach!!! I never thought about the consistency aspect of instagram, but I am definitely going to work on that because I absolutely love your photos!! Great post, Meg! I know the style or "mood" I'm going for but it definitely is hard to keep up with it sometimes. VSCO is my favorite app for editing my Instagram photos. You did a great job putting this post together! you are not a do do bird - you are a cute bird! Oh thanks so much, Gennie! I really think it makes a difference and it's so fun to be creative and figure out what works for you! You just changed my life. Thank you!